On or near this site stood the village stocks for the detention of offenders. 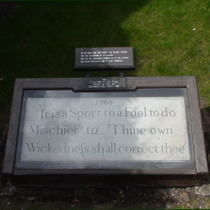 Part of the engraved stonework of the stocks has been preserved and is here exhibited. From East Dulwich Forum we learn that: the stone was originally attached to a now lost village lock-up: the original site was actually nearby, not exactly here; the stone was discovered and erected here in the 1970s; in 2015 there was a proposal to move the memorial to make way for a development. We discovered the existence of this memorial at IanVisits. That gives a link to British History Online which specifies where the stocks were originally placed but, without a better grasp of the topology of Dulwich, we can't interpret it. 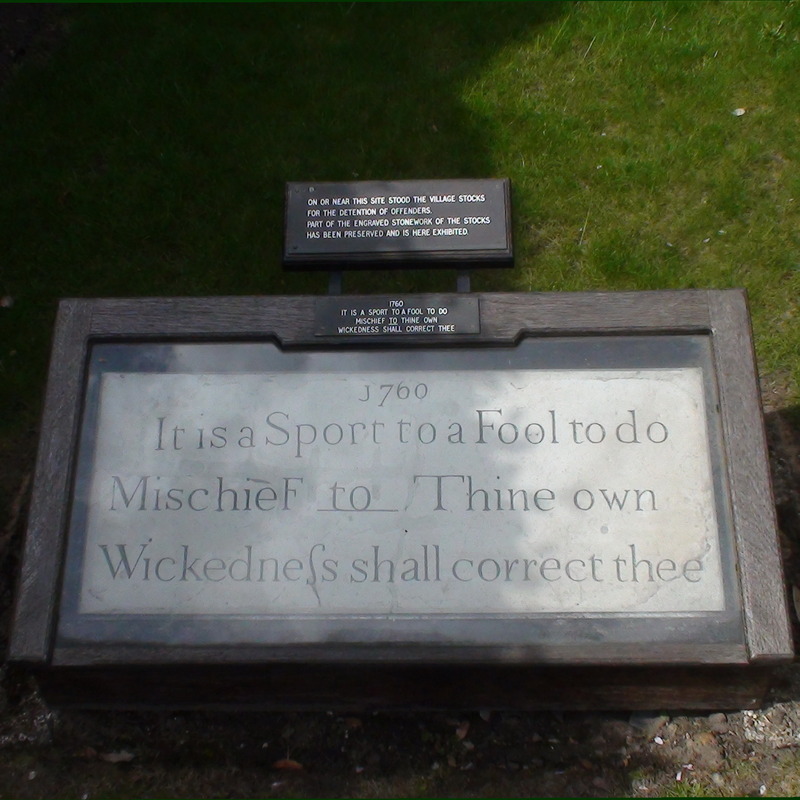 IanVisits also provides a link to the Dulwich Society who have decoded the quotation - a biblical mash-up. Sadly, our image does not show the Dulwich stocks, but some in Kent.